Mumbai, 29th Jan, 2015: SAB TV, India’s leading family entertainment channel has launched a wonderful school connect initiative – SAB Ki Happy Family. Starting with the states of Uttar Pradesh & Punjab, SAB TV plans to reach out many more schools in the country along the way. SAB Ki Happy Family will be touring in cities of Agra, Allahabad, Kanpur, Varanasi, Chandigarh and Ludhiana. Students from standard 1 to 9 can participate in the same. 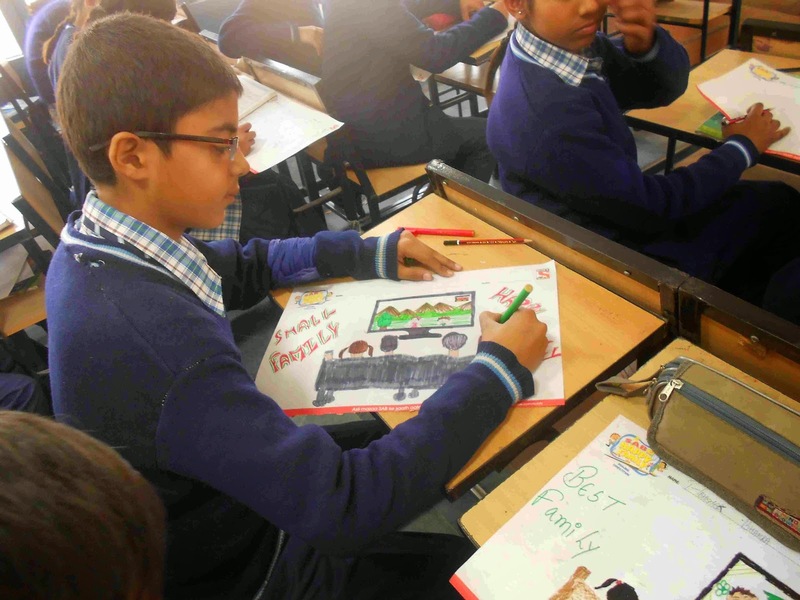 SAB Ki Happy Family programme emphasizes the importance of love for family and togetherness, channelled through a drawing competition amongst school children. 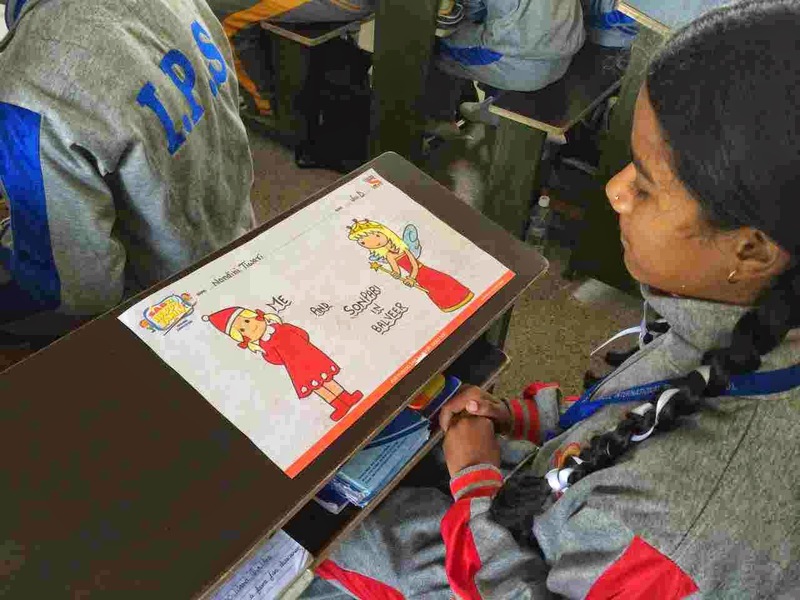 This activity is a highly interactive session; the theme for drawing competition is ‘Asli Mazaa Sab Ke Saath Kaise Aata Hai?’ ensuring the children describe their views on fun and good-times together as a family unit or with their loved ones. The objective of the campaign is to make the children realise the significance of mutual respect and care for their loved ones, to bring together all family members to portray their idea of fun. 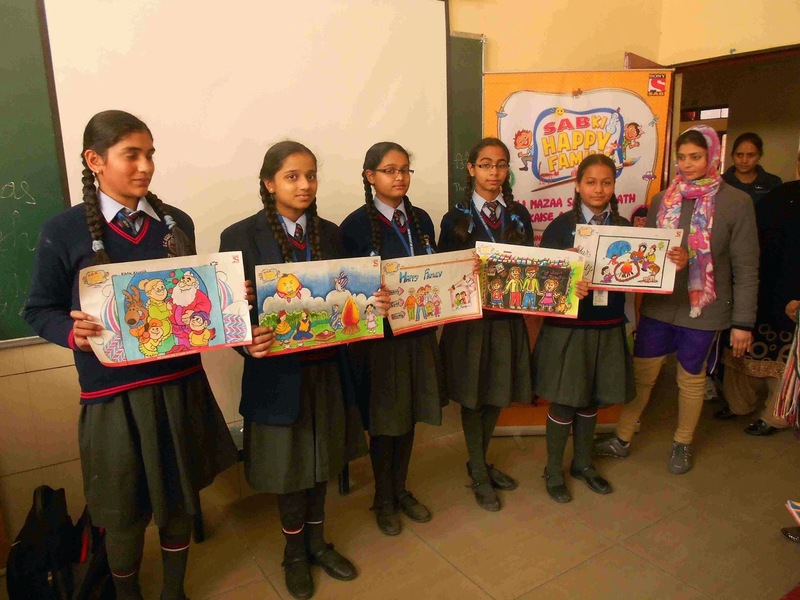 As part of SAB Ki Happy Family initiative, the participating children will be provided with drawing sheets for the competition and goodies from SAB TV. The drawing sheets also come with a sketch of a family tree which the children have to fill in according to their family members. Some of the best family tree entries will also get a chance to be featured on SAB TV’s Facebook page. SAB TV is World’s No. 1 light hearted family entertainment channel with over 6000 hours of original programming content. Recently, Honorable Prime Minister of India, Mr Narendra Modi also invited the team of Taarak Mehta Ka Ooltah Chasmah to join the Clean India campaign. This is recognition of SAB TV’s sustained efforts towards providing family entertainment that influences positive social behaviour. This initiative is being executed by Victor Tango Entertainment Pvt Ltd.
SAB is a part of the network of Television channels owned by Multi Screen Media Pvt. Ltd. SAB is India’s only family comedy entertainment channel with a core brand promise of ‘Asli Mazaa SAB ke Saath Hai’. SAB with its impressive lineup of innovative programs and light-hearted content ranging from daily family comedy to path breaking concepts like silent comedy is dedicated to promoting an enjoyable “family-viewing” experience. Its current programming mix includes Taarak Mehta Ka Ooltah Chashmah, Chidiyaghar, Baal Veer, Yam Hain Hum, Badi Dooooor Se Aaye Hai and The Great Indian Family Drama. For its differentiated programming and healthy entertainment SAB has also won the Brand Leadership award in media & entertainment space. Victor Tango offers the full spectrum of above & below the line brand solutions, IP development and brand consultancy services. Our offerings include development of creative campaigns that weave together multiple media disciplines like activations, live and televised events, digital content, audiovisual productions, strategy development and end-to-end implementation.